I was raised in a traditional Christian home and had little to no exposure to anything Jewish. As a teenager in the seventies, my love for the Lord prompted me to unashamedly wear a Jesus Freak button to school to declare my devotion to Him. Back then, I never fully realized that the Lord and Savior I embraced as my Messiah, had actually been born a Jew. Much later, I eventually learned He passionately practiced and displayed His faith as a devout follower of Torah. He was born in Bethlehem, Israel during a time of great Roman oppression. He was circumcised in obedience to the Covenant, worshipped in the Holy Temple, celebrated the Feasts of the Lord as instructed in Leviticus 23 and faithfully kept the Sabbath. Yet, it wasn’t until my late thirties that it dawned on me that I really didn’t know Jesus in His Jewish context at all. And it was then I began to wonder why. This revelation motivated me to go back to school and pursue an intense study of Hebrew biblical education, including anthropology and a study of the New Testament from a Jewish perspective. I found the Hebrew language and its ancient idioms quite fascinating. I became captivated by the first century historical and archaeological aspects of 2nd Temple Judaism—Jesus’s time—and of the Jewish customs and traditions of His people. It was a whirlwind of incoming information—and I soaked it into my life and spirit. Some years later when I walked the stage to accept my Th.D. in Hebraic studies, I realized that the Jesus Freak girl of my youth had found her calling and my journey was just beginning. A significant part of this journey is to teach other seekers the truth of God’s Word as it has been revealed to me over the years. Many of these teachings can be found in a growing collection of articles I call Precious Gems. Articles that share nuggets of wisdom and truth that I’ve learned as I’ve traveled through various denominations to reach the true roots of my faith. You’re reading one of those articles now. When I began to question why the Jewishness of Jesus was something I’d never heard about in all my years of attending “church,” one of the first things I realized was that this deletion of facts was more about a language barrier than it was about intentional deception. The Christianity I grew up with—that many of us grew up with—was influenced and interpreted through Greek, Roman and Western eyes. And it often failed to reveal the deep spiritual meanings of the first century Hebraic faith of our Jewish Lord. First century Judaism (not to be confused with modern day Rabbinic Judaism) is our mother faith; and the faith and theology of Jesus is predicated on this foundation. However, over the years, something has gotten lost—very lost—in translation. How did we stray so far away from our original roots? The teachings of Yeshua (Hebrew for Jesus) were initially directed to ancient Middle Eastern thinkers. To fully grasp the foundations of our faith, we need to step back and approach the Bible from a fresh but nonetheless ancient Jewish perspective; a perspective that goes back long before denominations, before the reformation of the church and before Catholicism veered off from the initial matrix. As European or Western thinkers, we have difficulty approaching the Bible in the mindset in which it was written. As Gentiles, we have struggled with misunderstandings for centuries. We lack the rich Jewish heritage and basic foundational understandings of those first century Jews whose ears actually heard the voice and instruction of Jesus. 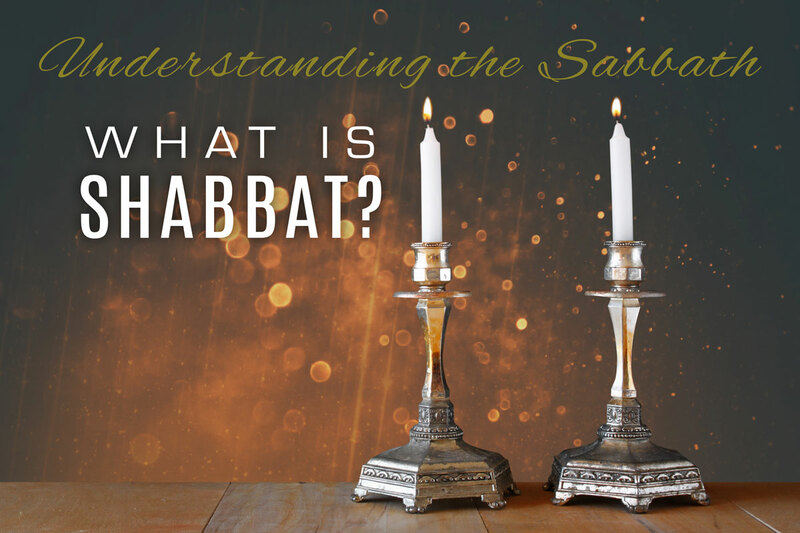 One typical misunderstanding we have is the idea of the Sabbath. It is recorded in Genesis that the Sabbath (the Hebrew word for the seventh day of the week) is the day God rested and the day He declared that we were to remember and keep holy. According to the Hebraic and biblical recognizing of time, the Sabbath begins at nightfall on Friday and lasts until nightfall on Saturday. After a holy day of rest and remembrance, the followers of Yeshua, would by common Jewish tradition, meet for Havdallah, which was a time of extending one’s focus on God beyond the time of Sabbath. Havdallah would occur on Saturday evening (or the first day of the week) after the sun went down. The purpose was for study, prayer and fellowship. In today’s culture, Sunday morning (not Saturday evening) is primarily recognized as the time we assemble and worship God. Yet for those desiring to walk in the dust of the Rabbi Yeshua’s feet, it’s important to realize there is a difference between worshiping God on Sunday (which of course, is absolutely acceptable) and keeping the Sabbath which is one of the Ten Commandments. You can certainly do both if you are led, but it’s important to know that these two days have two entirely different emphases. Corporate worship is man’s response to the Scripture that tells us “…do not neglect the assembly of the brethren” (Hebrews 9:25). Like I said, in today’s mainstream Christian culture, this assembly is most frequently conducted on Sunday—a day when Christians around the world gather together in fellowship to worship the Lord. Any day that man assembles to worship would be considered a day “dedicated unto the Lord”—again, something quite different than keeping the Sabbath, which is a sacred blessing given unto man by God as a time of rest. Yeshua says in Mark 2:27, “The Sabbath was made for man, not man for the Sabbath.” Sabbath is a gift from God allowing us to slow down—to focus on that which really matters in life; resting from our worldly ways and exhaustive pursuits and trusting in God. “Keeping the Sabbath,” is a far more personal act than a corporate one—it is a weekly remembrance and commemoration of our personal decision to make Yeshua our Lord and Savior. For over three centuries a movement of believers called “The Way (of Yeshua)” instructed the new believing Gentiles on how to keep the sacred commandment throughout the nations. Then, in the 4th century, Constantine the Great declared by a king’s edict that the Holy Day of Sabbath practiced by the early Christians on the seventh day was to cease. As Emperor of the known world, he declared that Sunday would now be recognized as the Christian Sabbath. By the stroke of a pen the new Emperor instituted a one-world religion that he knew little about. In one fell swoop, he declared centuries of tradition irrelevant—an edict in complete opposition to what the sacred Scriptures instruct. The Word of God concerning time or any other command cannot be changed as Constantine so presumptuously did when he changed the actual day of the Sabbath (from the Hebrew word Sheva or seventh day) to the first day of the week. Constantine was deeply immersed in polytheistic pagan religions, and he systematically banned the beloved feasts of the Lord (Passover and such) and the Sabbath that Yeshua kept on the seventh day, blending a once pure faith with other traditions from the feasts of the Sun God, Ra (Sunday worship,) the fertility god, Eshtar (Easter,) and the birthday celebration of Nimrod on December 25th—what we now call Christmas. It was this cataclysmic time in history that the true first century, clarified and demonstrative faith of Jesus became entangled in vines of misunderstanding and became damaged by pagan customs that Constantine refused to let go of. Shalom means peace and Shabbat means rest. In Hebrew Shabbat Shalom means “Have a peaceful day of rest.” Shalom is the key word in understanding the true meaning of Sabbath. In our western society, a common greeting is often “How are you?” In Hebrew, a similar greeting would be “Ma shlomcha?” or “Ma sholmeach?” depending on your gender. The direct English translation for these Hebrew greetings are, “How is your peace?” Unlike “How are you?” this probing question of inquiring of one’s peace causes a person to do a deeper—far more personal inventory of their life. In Scripture, the Sabbath is considered one of the sacred feasts proscribed in Leviticus 23. The Word calls these feasts moedim or “appointments” with God; a time when God is summoning us to “meet with Him.” The question then becomes, “How does one meet with God”? Many of us find it difficult to take the time to realize that the Maker of all things created man in His own image, let alone contemplate what that actually means. It means that not only was man made into a physical creature that learns to use his or her senses to obtain knowledge and to discern pleasure or danger, but He also created humankind to be of the spirit. Man was the only creation that incorporated a “spirit life” that melded with the Spirit of God when one was “born again” as a new functioning creature not dependent on physical senses but rather on the supernatural gifts of the spirit. This is a significant aspect of what it means to be a true follower of Christ. When one dies a common epitaph is, “May they rest in peace (shalom).” Resting in peace by death is the ultimate Shalom. In death, the spirit either is united with God or the spirit is eternally separated from God. Eternity with God is Peace. Eternity in hell is torment. Taking this western idea of “Resting in Peace” into the life of the here and now instead of in death, a whole new level of significance emerges. Because Hebrew has several levels of meaning, the “resh” or prophetic level of meaning suggests that even though we are alive, our soul (mind, will and emotions) can still “rest in peace” or die with Christ. In essence, the questions could be “Have we died to our flesh? Or, is the Prince of Peace alive in us? Is our “spirit man” functioning now instead of our physical senses? In Mark 3:4 Yeshua instructed us to “do good” on the Sabbath, which means to “be selfless.” To walk in love toward God and one another, preferring one another over our own needs. In essence, to die to self and put carnality to rest… R.I.P.! Another lesson God wants us to learn from Shabbat is trust. We see in Scripture that God told the Hebrews to gather twice as much manna on Friday so they could rest on Saturday. This exercise of faith in God was demonstrated when one did not try to show up for work on the Sabbath or take more than the extra day’s allotment. It came about on the seventh day that some of the people went out to gather, but they found none. Then the Lord said to Moses, “How long do you refuse to keep My commandments and My instructions? See, the Lord has given you the sabbath; therefore He gives you bread for two days on the sixth day. Remain every man in his place; let no man go out of his place on the seventh day.” So the people rested on the seventh day (Exodus 16:27-30 NASB). The purpose of the test would eventually be understood as His people learned to trust Him for the provisions of the flesh so they could give more attention on the selflessness of life. The focus became rest from their toil and engagement in the goodness of God. With the gift of the Holy Spirit we are now learning to operate from our spirit man, in order to minister to others. This is the difference between walking in the Spirit and walking in the flesh. Along with countless believers who are re-examining the “Jesus time” roots of our Christian faith, I believe that God is asking us to set aside one day a week to “die” to the things of this world. To choose on our own volition to not be involved in the carnality of this life, to not be overwhelmed with a long list of “things to do.” Can we for just one day every week dedicate a “practice time” of trusting Him as He multiplies our efforts of the workweek? He blesses us as we take the focus off ourselves and show love to one another. As one grows in God this very practice becomes a new way of life that spills over even to the other six days of the week when we take opportunities to operate in the spirit showing His character in all that we do. Matthew 12:8 teaches us, “For the Son of Man is Lord of Shabbat!” What a blessing it would be to Yeshua if we could embrace this gift of Shabbat (which is His New Life Spirit) that He has so freely given to us and walk in it on the eighth day… Think about it. Dr. Victoria Sarvadi is founder of The Bethany Center in McKinney, Texas—an outreach of The Nathaniel Foundation which she co-founded with her husband, Paul Sarvadi. With a doctoral degree in Hebraic Studies, she has served the Messianic Christian and Jewish communities as a teacher and administrator for over two decades. With the release of her critically acclaimed memoir, Just a Little Girl, she adds author to her list of accomplishments that include; wife, mother of six, grandmother of 19, licensed minister, philanthropist, Hebraic scholar, teacher, radio co-host, and singer. The Sarvadis philanthropic contributions support numerous charities in the U.S. and abroad. All proceeds from Just a Little Girl will fund the Nathaniel Foundation. References to this Precious Gem Teaching appears in Just a Little Girl by Victoria Sarvadi (New York, NY: Morgan James Publishing, 2017), chapter 24, page 239. Unless otherwise indicated, all Scripture quotations are taken from the Complete Jewish Bible (CJB) by David H. Stern. Copyright © 1998. All rights reserved. Used by permission of Messianic Jewish Publishers, 6120 Day Long Lane, Clarksville, MD 21029. www.messianicjewish.net.